After your procedure, you will be closely monitored in our recovery area and you will be awakened by our post-op nursing staff. Your family member or friend may visit you at this time. We can accommodate one visitor at a time for adult patients, and two visitors for patients under the age of eighteen. 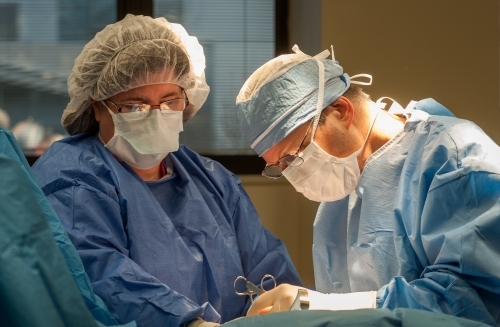 Because we’re an outpatient facility, after your procedure you will not have to stay overnight at the Surgery Center. In the rare event that additional care is needed, your doctor may choose to admit you to the hospital until you are ready to go home. 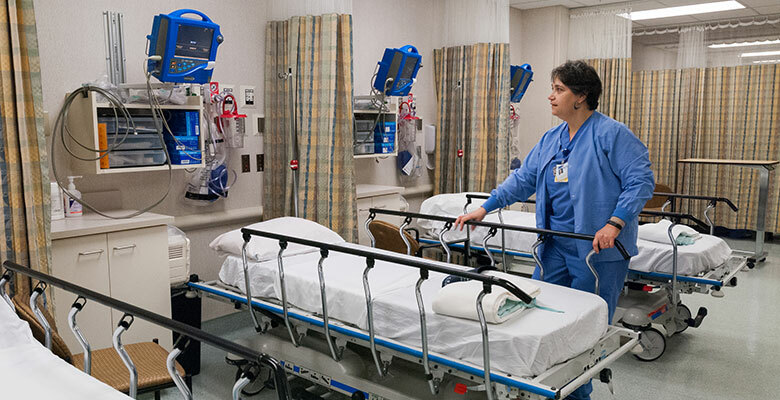 Most patients return home after one to two hours in recovery. This time may vary depending on your type of surgery, the type of anesthesia used, and other post-operative conditions. Once a physician has determined that it is appropriate for you to go home, you will be able to leave. You will be provided a written copy of your surgeon’s discharge instructions and prescriptions to be filled if you have not already obtained them during your preoperative appointment. Our nurses are available to answer any questions you might have about your discharge. Important: If you receive a general or regional anesthetic or sedation of any kind, we are required to insure that you have a responsible adult accompany you home and stay with you for 24 hours after discharge. This is very important to your safety. Your surgery will be canceled if we cannot confirm that this support has been arranged. If you receive anesthesia or sedation of any kind, you will need a responsible adult to stay with you for 24 hours. It is normal to feel drowsy after receiving anesthesia. Do not drive a car, operate machinery or do anything that requires your full concentration for at least 24 hours, unless otherwise instructed by your surgeon, especially if you are still taking narcotics at home. Do not smoke or drink alcohol for at least 24 hours after surgery. If you experience any problems after returning home, please contact your physician or you may call SWSC before 5:00 p.m. at (360) 449-6344. Call 911 if you experience an emergency. We like to check on our patients after their surgery so one of our clinical staff members will call you during the day after surgery to see how you are feeling. Patients with friday surgeries will be called the following monday or the next business day. If the Surgery Center is closed, please contact your surgeon’s office. If you are experiencing a life threatening emergency, please call 911. Please note: We usually do not call pain management patients post procedure. However, if you have any issues or questions, please feel free to contact us at (360) 449-6344 or call your physician. The same post-procedures described above will take place after your child’s surgery. You and a family member may visit your child once he or she has been woken up by one of our trained RNs. Once a physician has determine that it is safe for your child to go home, you and your family will be able to leave. We pride ourselves on providing excellent service in a stress-free environment, and we always appreciate your feedback. Let us know how we exceeded your expectation, or share with us some ways in which we can improve. 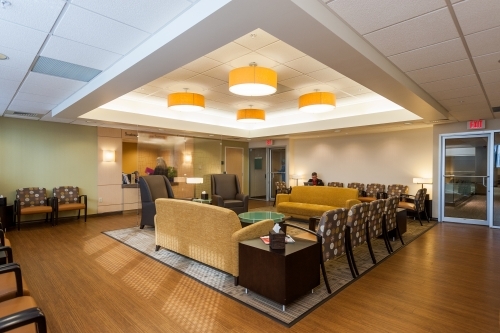 We’re always striving to create the safest, most relaxing outpatient environment possible. If you have a complaint or concern that has not been resolved to your satisfaction, or if you would like to request a formal review of your complaint, please contact us at (360) 449-8299. You also are welcome to fill out and return our Patient Satisfaction Survey.